Sounds great. I like your top shelf. I hesitated to name them off; I know that all of these have their stalwart fans (in particular perhaps Maeve Binchy – I frequently see her referenced with affection by other bloggers who share my tastes, though I’ve not been too taken with the titles I’ve sampled) and I feel kind of bad rejecting them. But – oh! – so many FABULOUS books out there. And with my reading life more than half over (unless I live on and am capable of lucid reading after I turn 100, lol) I have recently been most impatient with anything wasting my precious reading time. I have never read either of these writers. 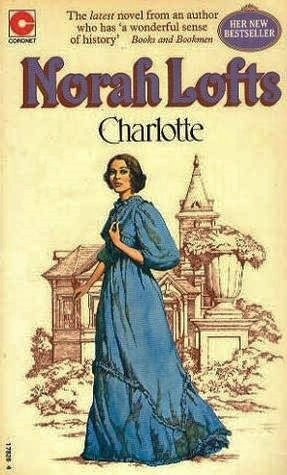 Norah Lofts was someone whose books were always in the library years ago. If you feel the urge to delve into these; go with Norah! Though she is a bit uneven too – I didn’t completely *love* her Biblical retelling of the Nativity in How Far to Bethlehem?, though it had its moments – she’s an immensely better technical writer than Phyllis Whitney. And her suspense stories are marvellously grim yet not bleak. Haven’t read many of her historical novels; am feeling emboldened to try another one of those sometime soon. Read The Concubine (about Anne Boleyn) many years ago and seem to recall it was not bad at all. I have one Norah to read LADY LIVING ALONE.I love your frank and amusing opinions. I hope I don’t offend the Whitney lovers. But oh! – so not to my taste! (And I tried; she seems like she’d be such a grand read.) Haven’t come across Lady Living Alone; is it one of the suspense novels? Sound promising! Norah Lofts sounds brilliant, despite the Constance Kent case being so grim (have you read The Suspicions of Mr Whicher by Kate Summerscale?). I’d never heart of her, so thank you! Haven’t read that one, but I did see it favourably mentioned when I was doing a bit of background investigation on the Constance Kent case. I think I will see if our library system has it; would be interesting to read another book inspired by that sad and mysterious event. Will let you know when i read it! It is a suspense set in fairly modern times i think. (LADY LIVING ALONE)Still wishing i could buy SUSAN AND JOANNA by Elizabeth Cambridge.Still whats a 2 year wait and counting…….sigh. I’ve started my re-read of Susan and Joanna; will try to get a proper review up so you can get a better feel for the book. It’s interesting; also hard to sum up. Rather melancholy, all about people doing the best they can under the circumstances and so on. Elizabeth Cambridge was a keen observer of everything around her, one feels, her details are absolutely bang on; her summations made with opinionated precision. A very confident writer. I have never heard of this author. I will look her up, thanks! Hugely popular in the 50s, 60s and 70s – especially for her historical fiction/historical romances. I always rather dismissed her; these new-to-me suspense novels which were something of a sideline (most published under a pseudonym) are a delightful discovery. So dark, so morbid, so well written, so witty and amusing here and there to balance the grim themes! Ahahaha, Phyllis Whitney is one of those authors I always saw on my bookshelves growing up, but never finished a single one of them. When I’ve asked my mother about Whitney, she’s always said (some version of) “Her books are terrible but I somehow enjoy them anyway.” I support your top-shelfing and eventual culling of her books! I love it that you have a probation shelf! I have read some Maeve Binchy, which I tried to convince myself that I loved, but really, she’s just “OK” to me.